Barnett’s Scorpion Lock-up clutches feature an ALL NEW, re-designed billet aluminum lock-up pressure plate that is designed to fit under the stock primary cover. No need to change or modify your cover! When compared to stock components, Scorpion Clutches have a greatly increased surface area, and lever effort is kept to a minimum. 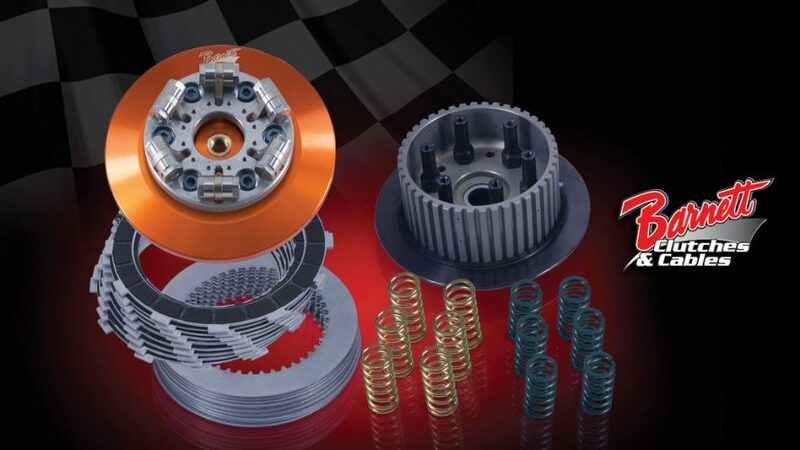 Three different coil spring sets provide a wide variety of spring pressure options allowing you to tune the clutch for stock to 200+ HP applications. A steel inner hub is also included to complete the unit. All Scorpion clutches are designed to fit into the stock type basket and hydraulic versions are also available. The versatility and great looks of the Scorpion make it an excellent choice for stock to big inch motors- daily riders to full on customs. Scorpion Lock-up Clutches are available for most Harley-Davidson models including Milwaukee-Eight Softails and Touring bikes. For more information or to locate a dealer near year please call Rollies Speed Shop on 07 3252 5381. Shop the Scorpion Range Now!